Powers in-depth analysis of prescribing habits, including brand preferences and response to payer denials. 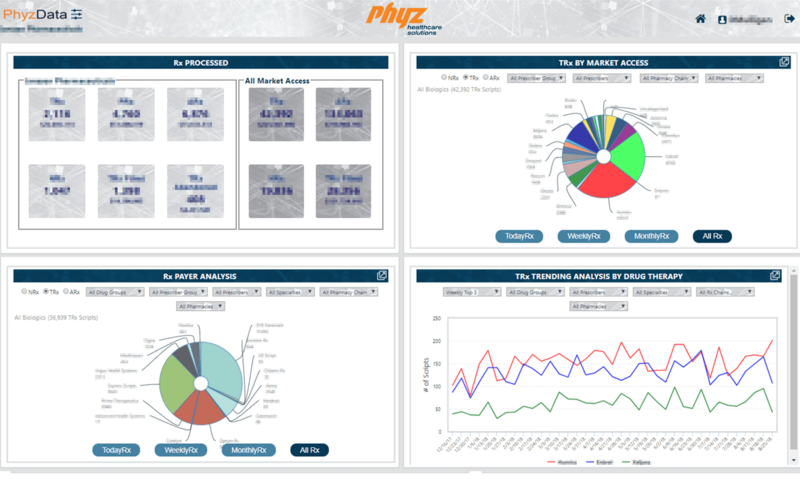 Provides access to comprehensive life-cycle data via the PhyzData vault and API integration. Enables tracking and in-depth analysis of payer reaction to prior authorizations and appeals. We have 100% visibility from the origin of the script (pre-claim) to Specialty Pharmacy assignment; fill and abandonment data also captured; we do not purchase data. Traditional data aggregators acquire data from numerous sources and use algorithms to fill in the gaps leading to inaccurate and delayed data. Enables objective measurement of Specialty Pharmacy performance including speed of acceptance, fill rate and communication behaviors.